Why does anybody purchase something impractical ? Why does anybody purchase something impractical like a racing greyhound or a racing supersport Ferrari Enzo? One can guess from famous, below-mentioned, quotations of Ing. 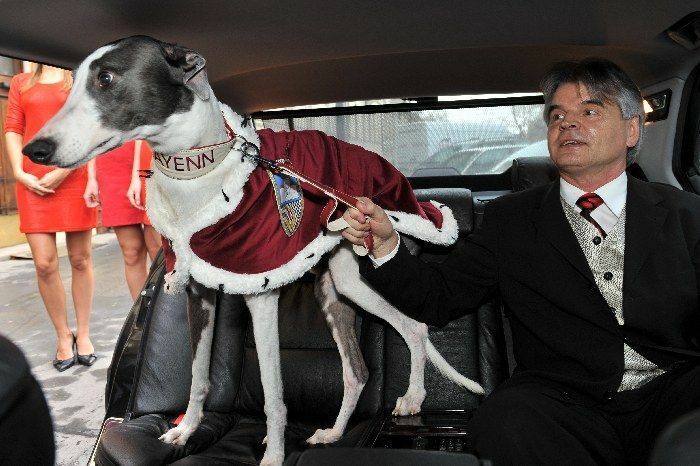 Zdenek Greyhound Grondol the president of the Czech Greyhound Racing Federation (CGRF). Only Mr. Grondol could be the first to simile these racing phenomenons - a greyhound, breed whose predecesors date back thousands years ago and a Ferrari, a child of the racing sport legend Enzo Ferrari. 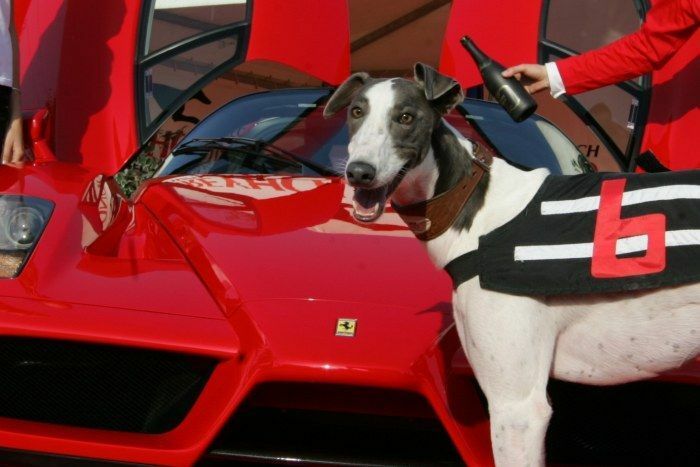 Before he got involved in those phenomenons, greyhound racing was just a minor cynologic activity and supersport Ferrari Enzo was just history. You know it from movies, perhaps some of you personally. You often travel, you work in your car, you almost "liveL there and that´s why you want to havve the most comfortable limo. You purchase some of the latest "living room on wheels", in some limos you never sit on the front seats as you rent also a driver, one cane enjoy cooled champagne or chocolate Ferrro Roché, well-known from TV spots. A computer, a TV or a phone is standard equipment there. You own a set of the most comfortable vehicles so that you could fal in love with something opaque. Congratulations to those of you who know what are we talking about because you have such experience - you just switched from a standard vehicle (more or less luxurious) to a racing supersport. In a racing supersport you will find only the necessary equipment and you "sit on the engine" there. As the supersport engine is so loud there is no radio or CD player. No carpets on the floor, no accessories, no comfort at all. There are no large windows - for what? Electric windows is heavy luxury - unnecessary for a racing car. Any part, than can be expended, has to be removed, even if it weights only a tenth of kilogram. One must admire the skills and experience of aerodynamic specialists who work 24/7 in aerodynamic tunnels to reduce next "tenth". So many winglets, deflectors, various aerodynamic parts - they all have to be smooth and to elevate the lift in roder to improve the racing car´s performance. Speed is the priority, forget about the comfort of oridnary vehicles. "It can pull your teeth out" - a perfect definition said the leader of the Elan band - Jozo Raz - to journalists after he took a ride in the Ferrari Enzo supersport during the event FERRARI & YAMAHA 2009 in Bratislava. He was right. Supersports suffer on our roads or highways and it also means that you - the driver and the co-driver - suffer as well. Supersports, containing Formula 1 components, should race on race circuits - ideally on F1 circuits. This holds good for greyhounds too, of course. 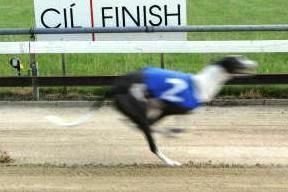 Not all greyhound tracks meet the requirements for greyhound racing. That is the reason why Ing. Zdenek Grondol built a track suitable for greyhound racing in Praskacka, Czech Rep. and another new track is being built in Prague Motol. "F1 engine and other equipment can be found under the beautiful bonnet, one cannot ignore the sound of the racing engine, one is stucked in the chair and your heart beats in the rythm of the engine. You can feel the energy of the vehicle. It is a real love." "Unbelievable aerodynamic shapes, pure minimalistic beauty, incredible acceleration and impressive performance - just like the F1 racing cars." "As a sensitive human being I sense the energy of running pack of greyhounds. If i stand close to the race track, I can feel the energy that greyhounds have to use, my heart always beats extremely fast when I can see them running. What a spectacular experience - just like when you see a racing racing car passing by so fast that you just say: God, what was that? What a beauty and what a occation!" 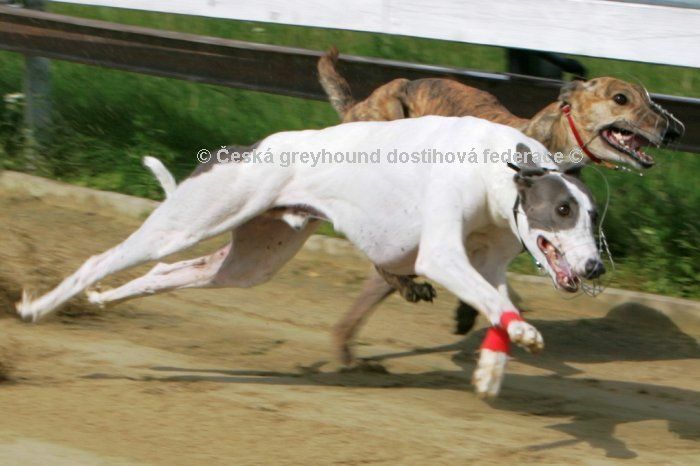 Compared with Ferrari or Ferrari racing, a racing greyhound history is much more complicated, especially in the Czech Republic. At first they used to be a noblemen privilege as no one excpet them could own a greyhound, later during the comunism era greyhounds were considered as a capitalistic symbol that good for nothing and eats food supplies of working people. It all changed when Ing. Zdenek Grondol described greyhounds as artworks of nature in the nation-wide TV broadcast. He can see designs of the heavenly Pinifariny in greyhound shapes. The best designers and engineers have to invent and develop complicated constructions for racing cars but the nature developped a simple beautiful and absolutely functional artwork - a greyhound. No useless decorative aspects, they would only slow down. Every part is subordinated to the one and only aim - speed. However if you put greyhounds on a poor track, the consequences are similar as Jozo Raz described during his ride in the Ferrari. Fortunatelly greyhounds usually have strong teeth. We hope we answer to the basic question - why anybody would choose a greyhound or why anybody would choose a supersport Ferrari. If you want to learn more about reasons why anybody purchases something so impractical like a racing greyhound or a supersport Ferrari Enzo, click on the website of the Czech Greyhound Racing Federation , www.cgdf.cz, and find the e-magazine Czech Greyhound Racing News.